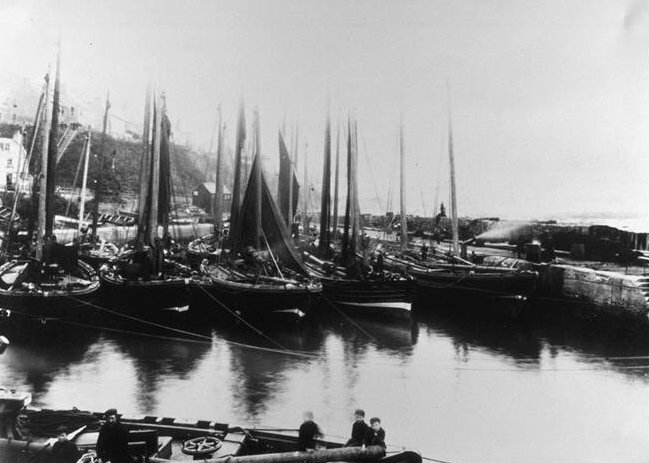 Originally known as Gamrie, Gardenstown was founded in 1720 by Alexander Garden specifically as a fishing village. On the hillside to the west, and visible from most parts of Gardenstown, are the remains of the Church of St John the Evangelist. This predates the village, being built in 1513, and celebrates an even earlier event, the defeat of the Danes here in 1004 – The Battle of The Bloody Pits. 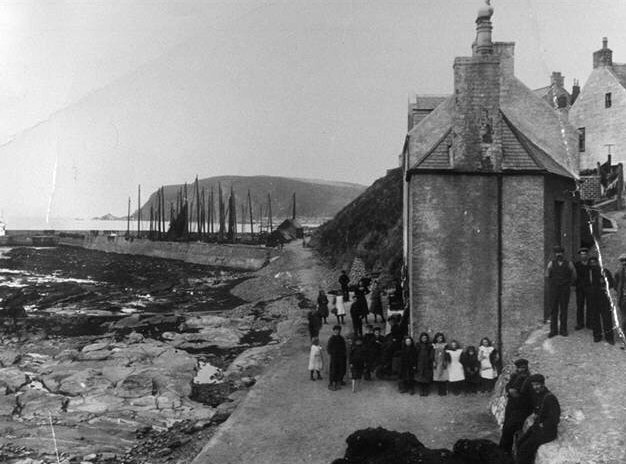 By the 1920s Gardenstown and Crovie together housed around 250 fishermen and 50 fishing boats. This number declined over the following years in the face of competition from the larger and more effective vessels that could operate from other ports. 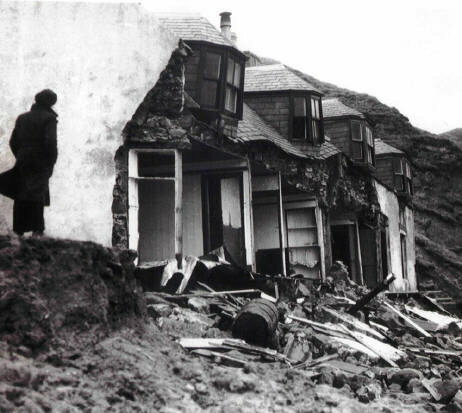 Gardenstown grew at Crovie’s expense after the great storm of 31 January 1953. This washed away the path between the villages together with stretches of Crovie’s sea defences, and a number of houses and sheds. Crovie ceased to be viable almost immediately, and many residents moved to Gardenstown.